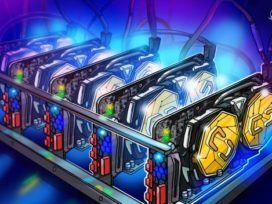 The Republic of Lithuania’s Ministry of Finance plans to release legal amendments for operating crypto-related businesses in the country, Riga-based newspaper The Baltic Times reports on April 8. By enforcing legal requirements in the industry, the authority reportedly seeks to ensure an efficient policy against money laundering and terrorism financing, as well as to guarantee a due level of consumer protection, the articles writes. The new amendments propose that crypto-related companies will have to be registered with the Center of Registers in order to operate as legal entities. The companies will also have to execute the Law on the Prevention of Money Laundering and Terrorist Financing, as well as to strictly observe Know Your Customer (KYC) laws including reporting high volume financial transactions to the Financial Crime Investigation Service (FCIS). As The Baltic Times reports, operators are set to be required to identify users and check their identity prior to providing services if the operation value exceeds 1,000 euros ($1,120). Sigitas Mitkus, director of the finance ministry’s financial market policy department, said that introducing limits for financial operations will be a new practice under the European Union directive. According to Mitkus, Lithuania might become the first country in the world to implement recommendations of the Financial Action Task Force (FATF) and apply requirements not only in terms of crypto-to-fiat conversion, but also in terms of internal crypto trading, the report notes. Earlier this year, the Bank of Lithuania released an updated document on its official stance to cryptocurrencies and ICOs, claiming that financial market participants are still authorized to receive payments only in traditional fiat currencies, and prohibited to get paid in crypto. In early March, the FATF published preliminary guidelines for cryptocurrencies, urging countries to prevent money laundering and terrorism financing, as well as to introduce crypto-related licensing and setting up KYC processes.